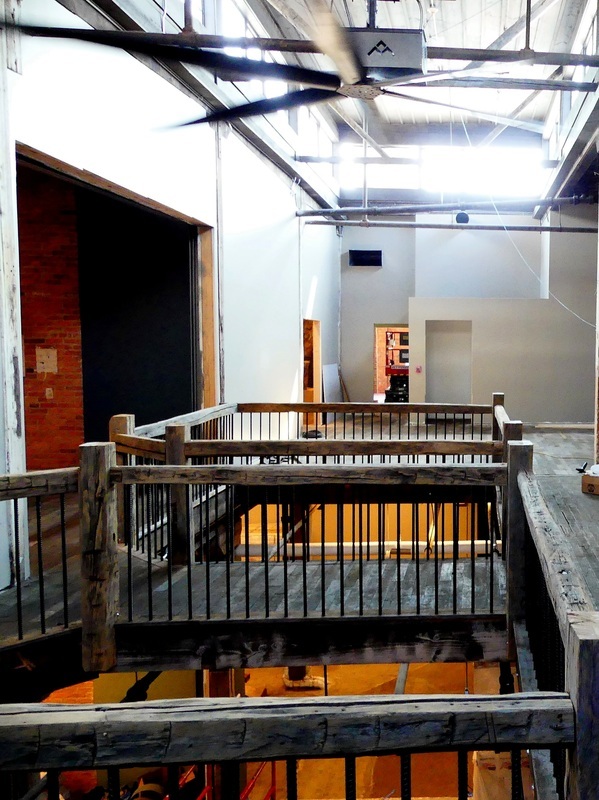 View of the Tasting Room for Lakeward Spirits with reclaimed materials including flooring! ​Our 3-level brick and beam (45,000 SF) structure is reminiscent of 1890's and early 1900's-era industrial buildings, some of which have been re-purposed over the years, but only a few restored to this extent. Built in 1903 for the Quaker City Cooperage Co., the building's red bricks were made onsite during the factory's construction at its Old First Ward location near the historic Buffalo River and its signature grain elevators. Bordered by Hamburg, Republic (formerly Tecumseh), & Vandalia Streets, the building was known as "The Barrel Factory" to Old First Ward locals. The City of Buffalo granted private railroad rights along Tecumseh St. to the company in 1903, with the Erie Railroad connecting to the company tracks. 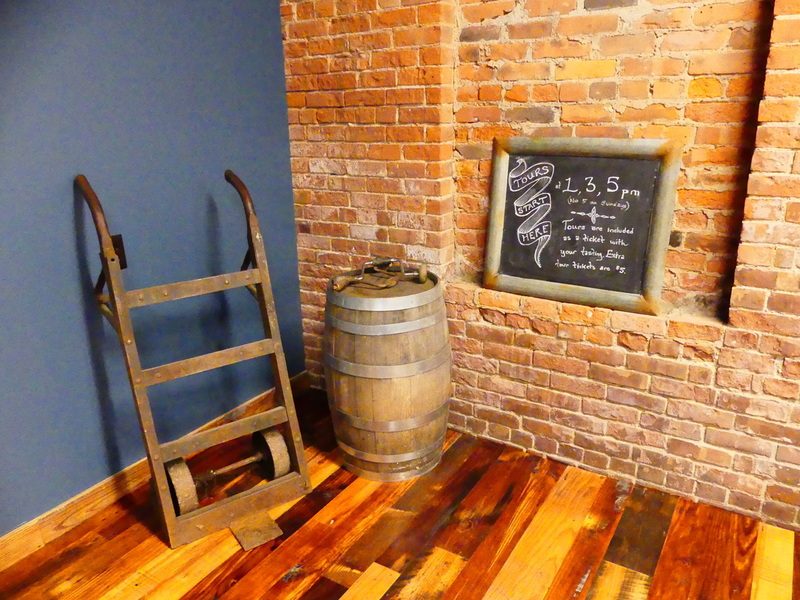 ​The company manufactured for many decades wooden slack barrels for grain, malt, flour, fruit, and other commodities. At its height, a whopping 4,000-6,000 barrels a day were made there. Wooden barrels were the cardboard boxes, plastic bags, & shipping containers of this period. ​Indicative of the Buffalo area's strong Great Lakes maritime, transportation, and industrial heritage, grain and other bulk materials were shipped from the mid-west via the Great Lakes to Buffalo where quite often these were put into barrels, and then frequently shipped further east via the Erie Canal, and later also the railroads. 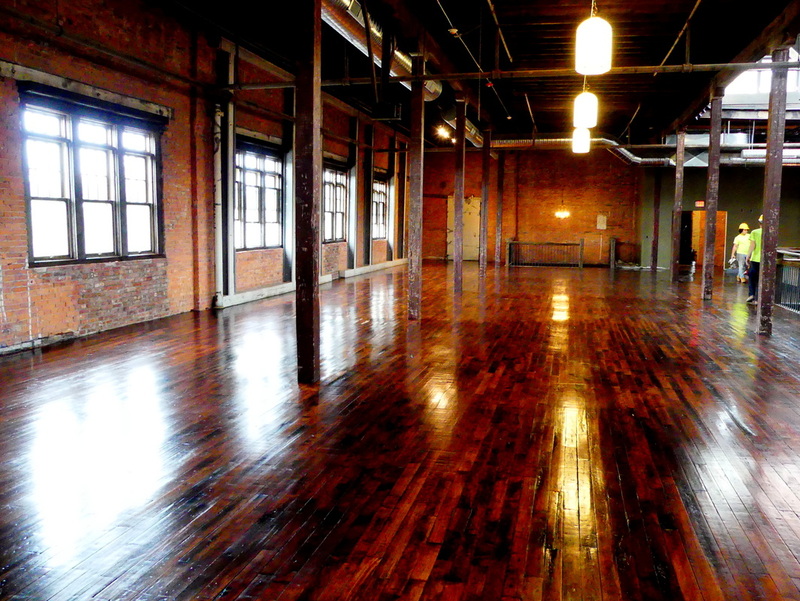 New windows & restoration of the original factory floor in the new 2nd floor Lakeward Spirits Event Center! 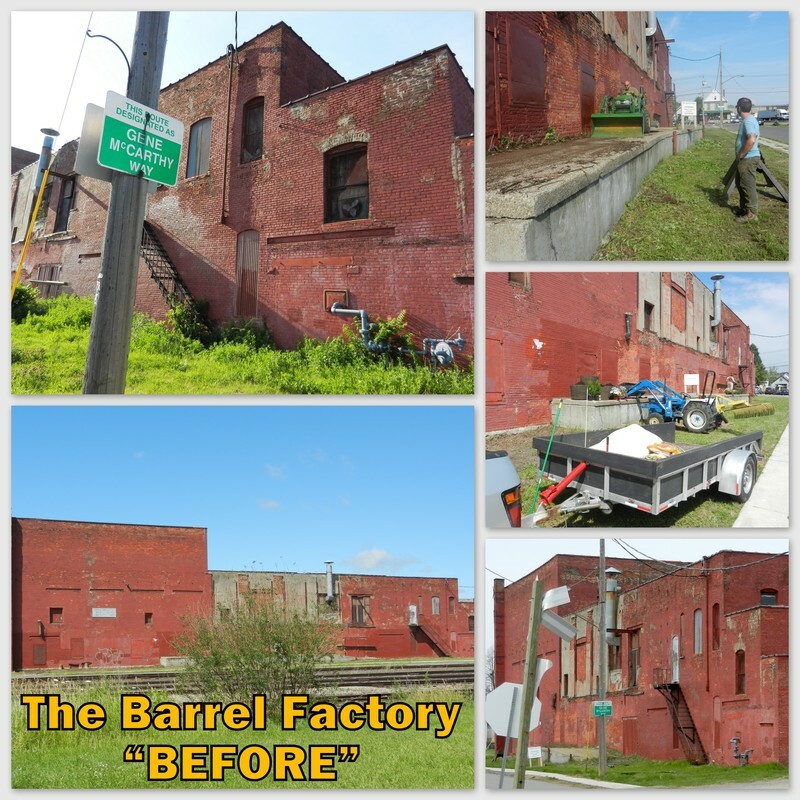 ​​Phase I renovations at The Barrel Factory included extensive planning, cleanup & grounds-keeping, site preparation, permitting & plan approvals, and several other improvements to prepare the building for resident businesses. Phase II renovations included installation of a new, well-insulated roof, restoration of the natural brick facade both inside and outside, installation of new, energy-efficient widows, historical and artistic themes, and all other major renovations and build-out. Numerous environmentally-friendly and sustainable components plus heavy use of reclaimed materials were included in the restoration! ​Final renovations & restoration efforts have been completed. See our Construction Update page for more details & photos! "BEFORE" restoration: summer of 2014. "AFTER" restoration: summer of 2017, most major work complete! ​Ample private and public parking is available at the site. 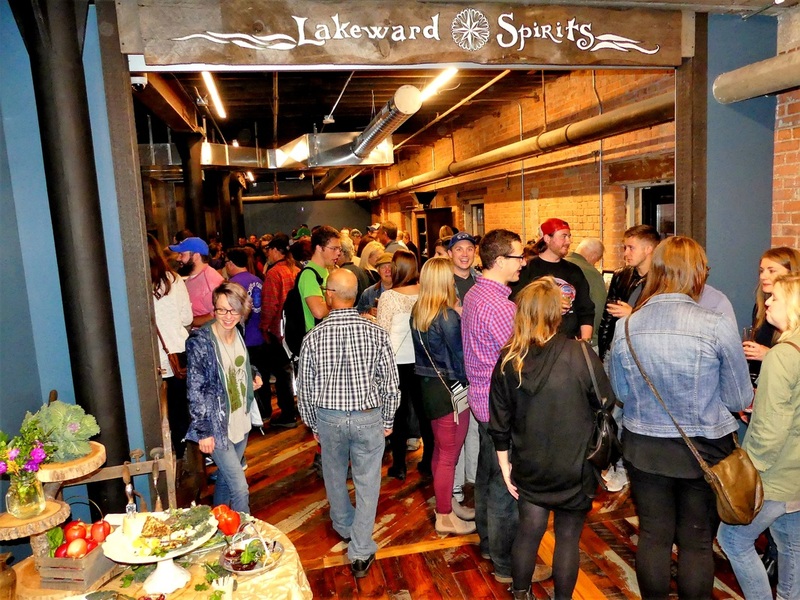 Currently, resident businesses include Lakeward Spirits, Buffalo's largest craft distillery and The Barrel Factory's anchor tenant, Snowy Owl Kombucha, Elevator Alley Kayak, Pressure Drop Brewing, Buffalo's Best Cucina, Bar Cultivar, and the Lakeward Spirits Event Center. 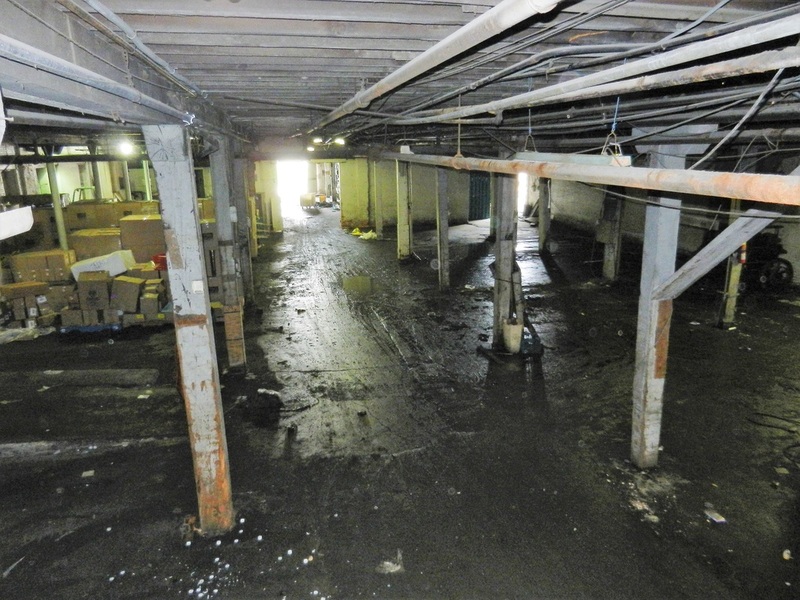 "Before" redevelopment pic. More pre-restoration pics on our Construction Update page! In addition, several loft-style apartments with 14' to 16' ceilings were completed in the final build-out, and all of them are already under lease! 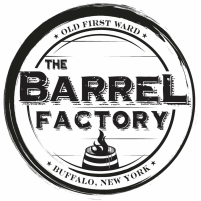 ​The Barrel Factory is very near Gene McCarthy's/Old First Ward Brewing Co. and Mutual Riverfront Park & Kayak Launch, and located in close proximity to Buffalo River Fest Park, Buffalo RiverWorks, the Cobblestone District, Silo City, Canalside, Harborcenter, Downtown, Larkin Square, 500 Seneca/Hydraulics Lofts, Riverbend, Seneca Casino, Coca-Cola Field, First Niagara Center, Pierce Arrow Museum, the new, upscale apartment buildings on Ohio St., and more! We're very proud to also be cheerleaders for the renaissance currently happening in Buffalo's Old First Ward and the surrounding area! Construction Update & "BEFORE" Pics! 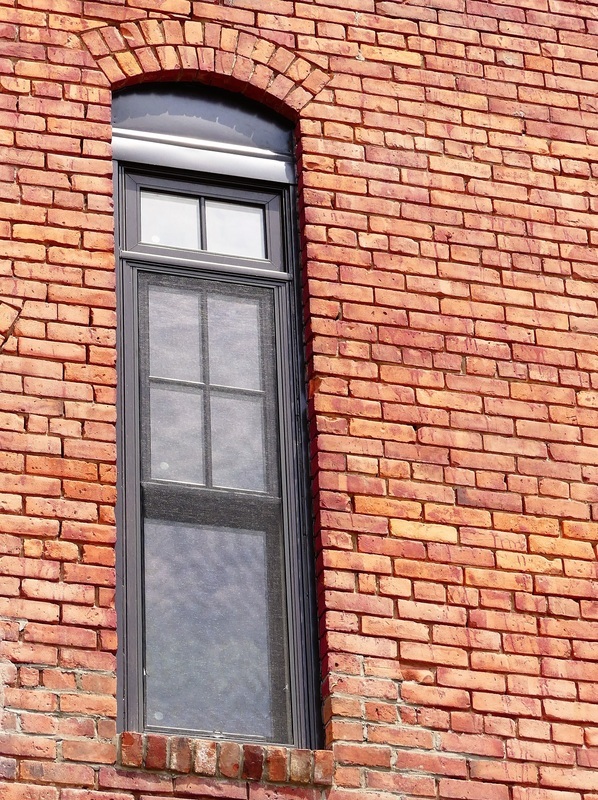 New energy-efficient windows & restored brick work! New cut-outs in the Event Center floor promote energy efficiency! A Silo City grain elevator visible in the background! Extensive use of reclaimed wood & other materials! 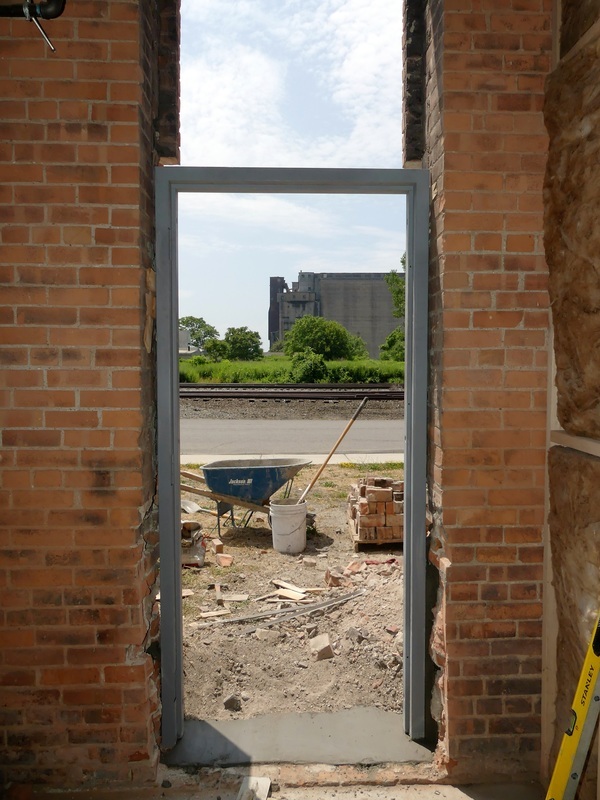 restoration of the landmark, 116-year old historic factory in Buffalo's legendary Old First Ward! 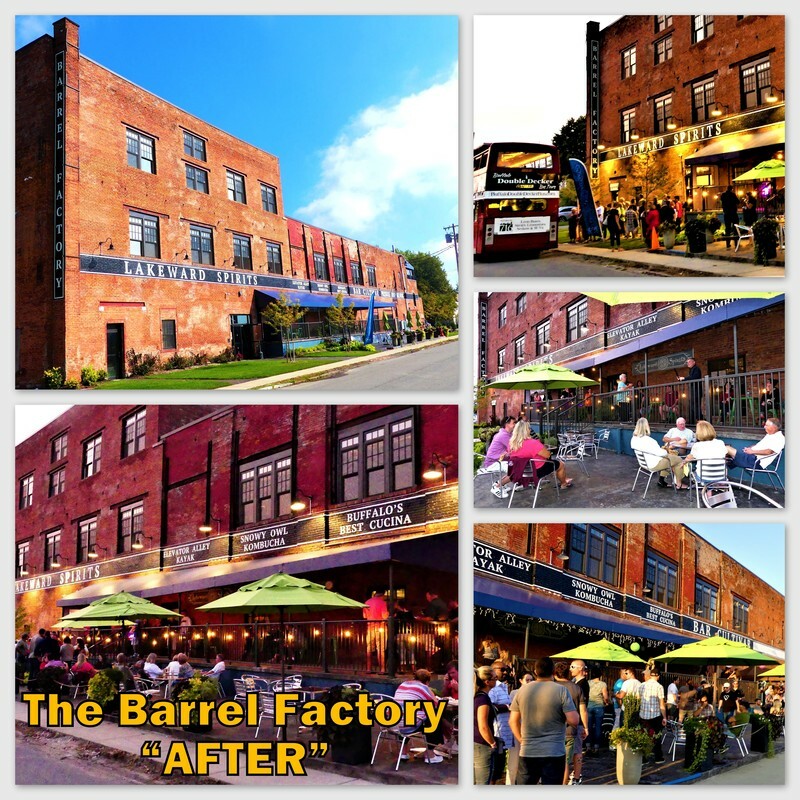 Now open at The Barrel Factory! 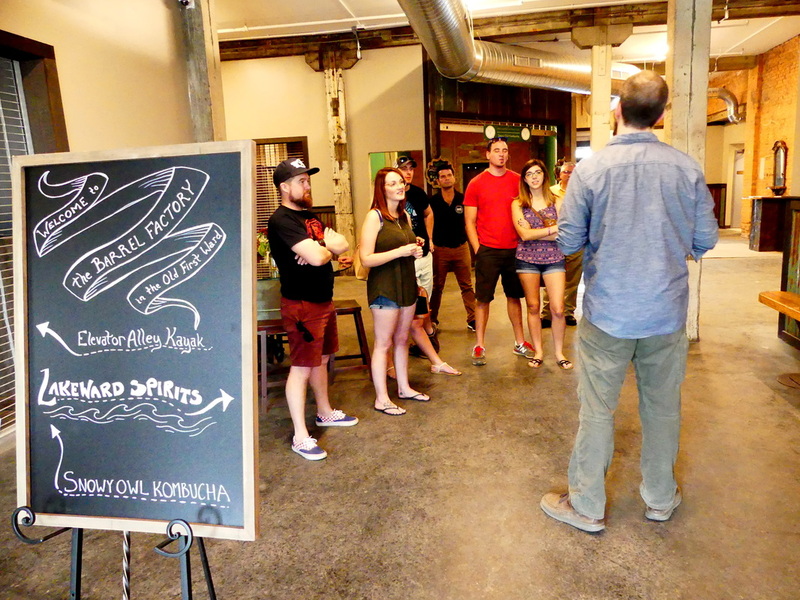 Head distiller Adam Bystran gives a tour of Lakeward Spirits in early Sept.! 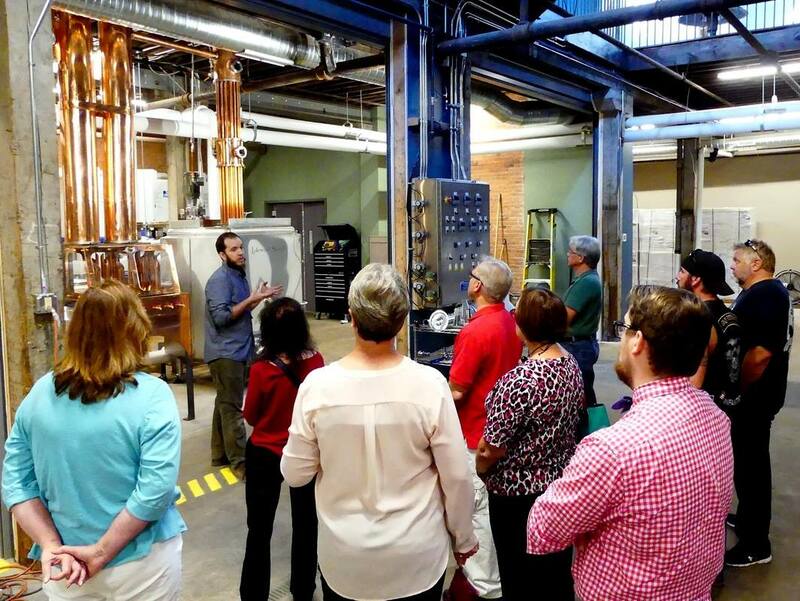 The conclusion of a Lakeward Spirits distillery tour in the main lobby! 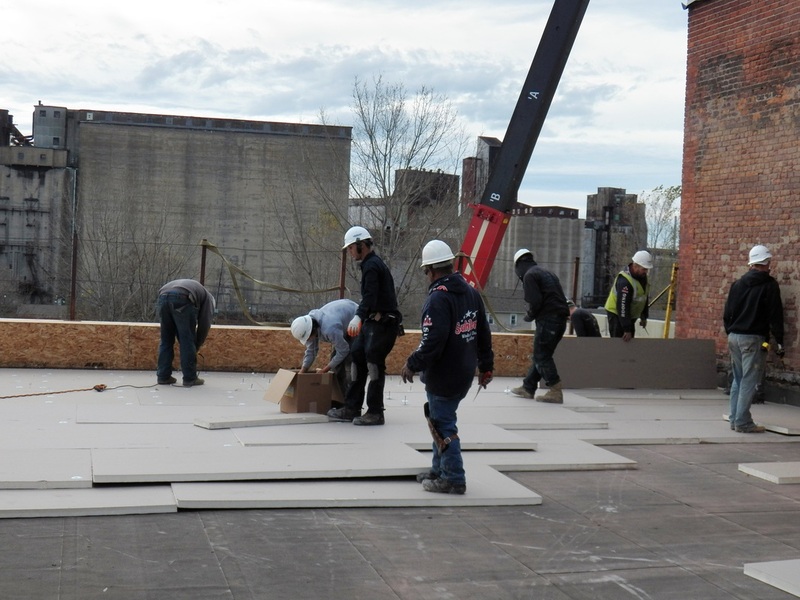 A new, well-insulated roof is installed in Nov. 2015! Roof insulation for the first time in 116 years! 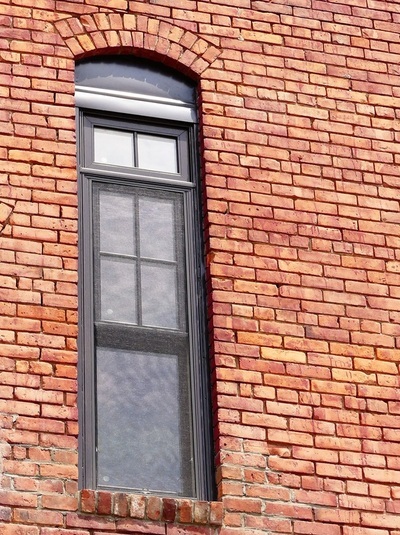 Re-use of original bricks manufactured onsite in 1903. 14 ft. wide jumbo ceiling fan to save energy for heating & cooling. Highly energy-efficient, made in USA steam boiler for Lakeward Spirits' distillery ops. 6,200 gallon underground water cistern providing ground-cooled, re-circulating cold water for chilling needs during Lakeward Spirits' distillery ops, saving thousands of gallons of water daily. Use of re-claimed American Chestnut timbers from circa 1810 WNY barn that collapsed during the 2014 "Snovember" storm. 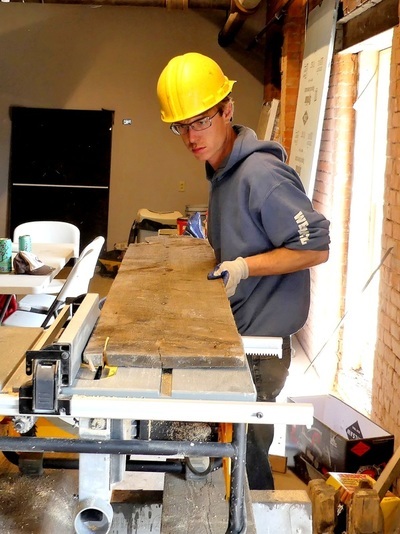 Reclaimed wood & other materials from the factory itself are also being extensively re-used as well. 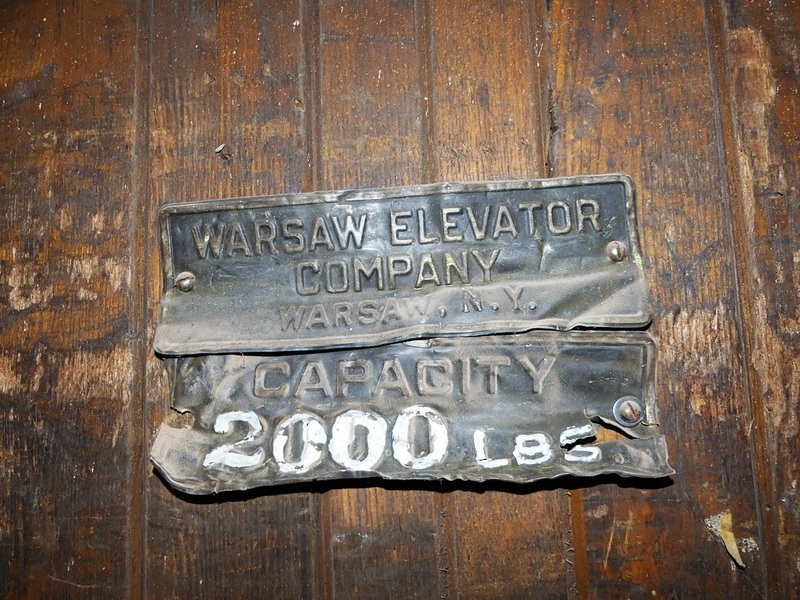 Circa 1903 Warsaw freight elevator is being refurbished! 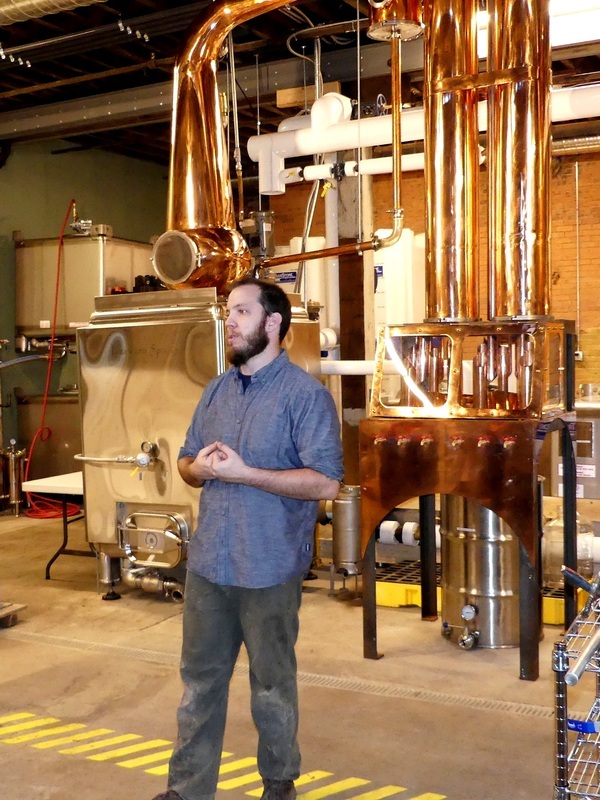 Lakeward Spirits mills the WNY grain themselves, and then mashes, ferments, distills, and bottles their craft spirits onsite, always from scratch! 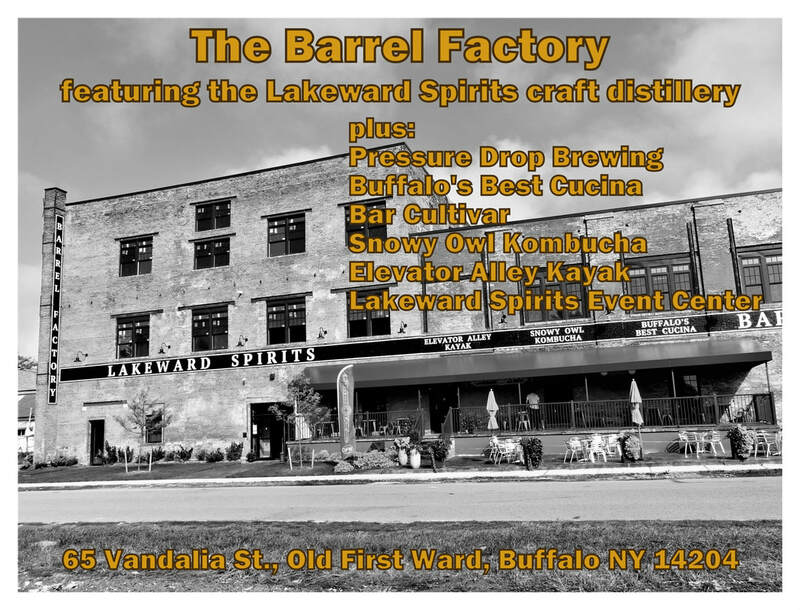 Featuring Lakeward Spirits craft cocktails and Pressure Drop Brewing on tap in a nostalgic setting using reclaimed materials overlooking the distillery! 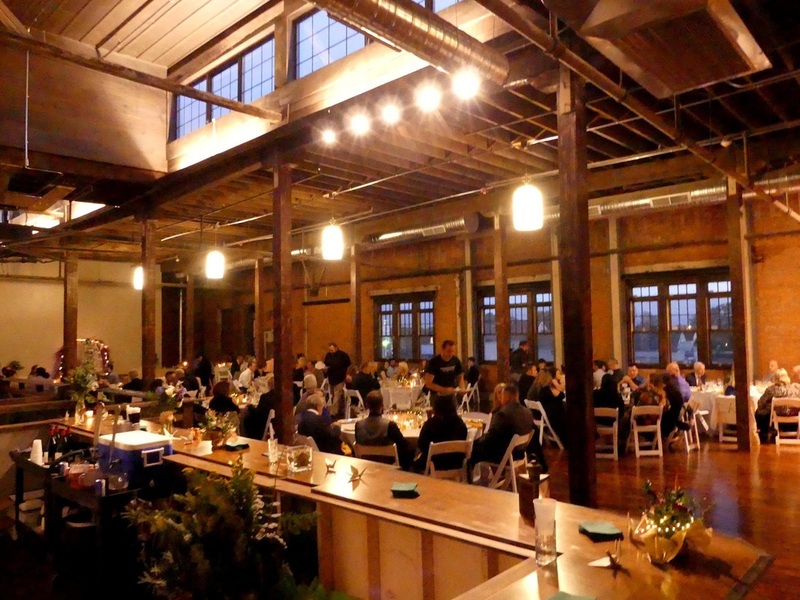 Perfect for weddings, banquets, meetings, and other functions, the Lakeward Spirits Event Center features the fully-restored hard maple factory floor and more!